Loscam has launched a multi-bottle returnable beverage tray, designed for one-touch handling in the beverage and retail sectors. The Loscam Beverage Tray, designed by K Hartwall for use in high-speed production lines, is made for storing, moving and displaying beverage products direct to retail floor, reducing product handling and packaging, improving product quality and increasing retail in-store efficiency. 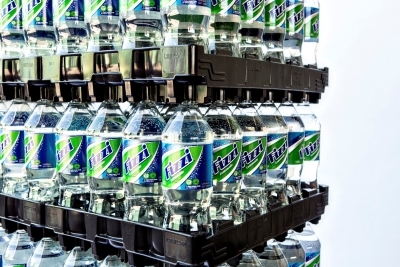 Loscam claims the trays are light weight, hygienic and durable, and were specially designed for the Australian market, holding all variants of soft drink bottles – i.e. 1.25, 1.5, 2.0 and 2.25 litres. The tray is claimed to be an improvement on current trays in the market due to its unique bottle holding mechanism through the closure rather than the base of the bottle. This, says Loscam, makes the unit much more stable in transit improving safety and better presenting the product on floor. George Tan, director of Slades Beverages, has been using the Loscam Beverage Tray for supplying product to Aldi and is extremely impressed at the level of innovation and thought that Loscam put into the solution.